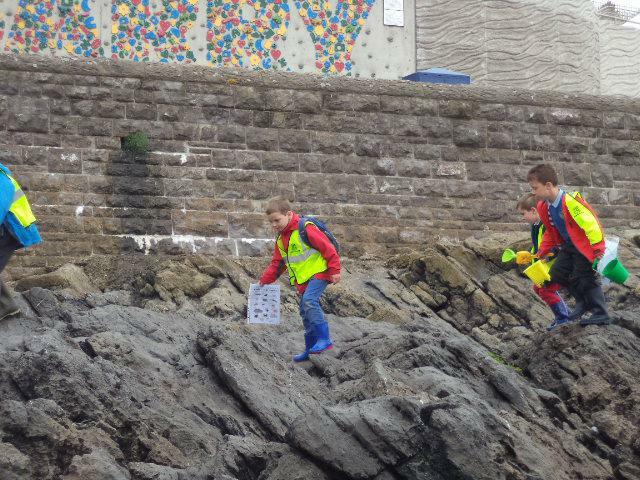 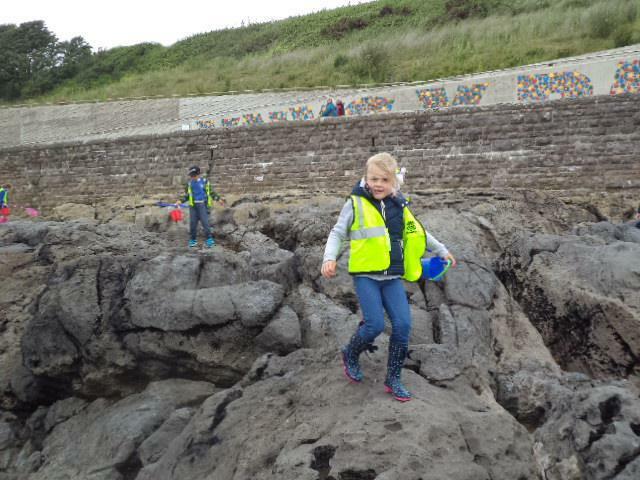 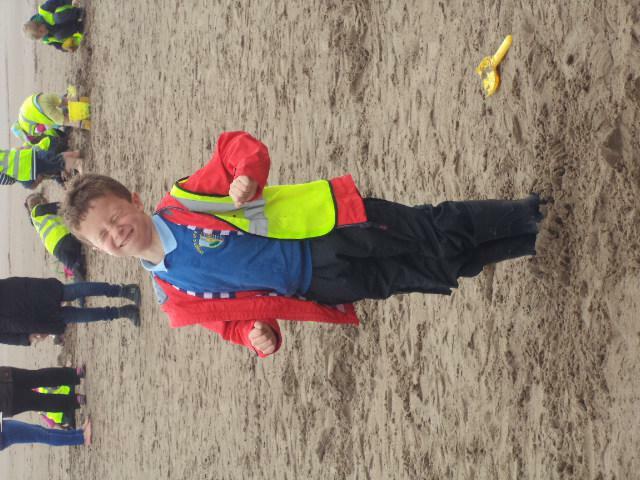 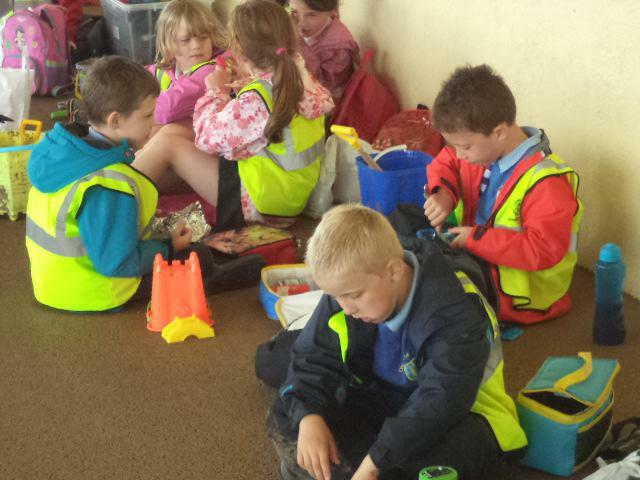 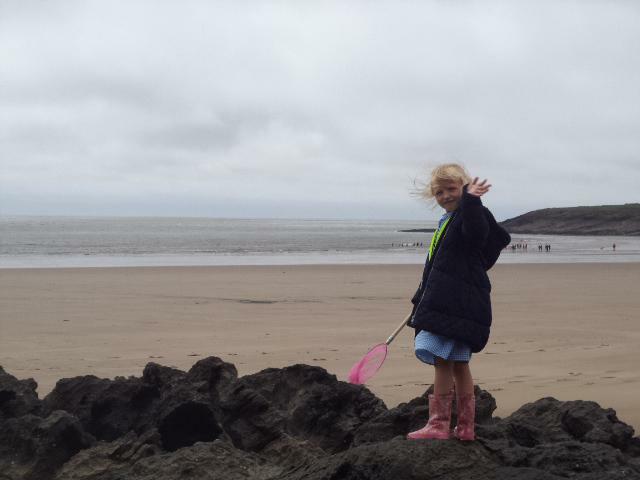 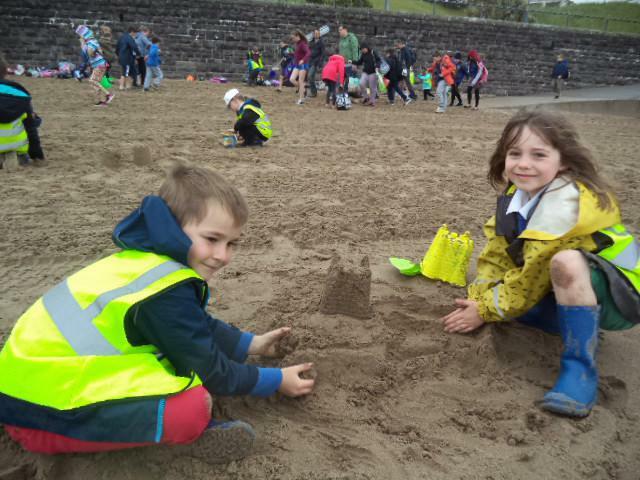 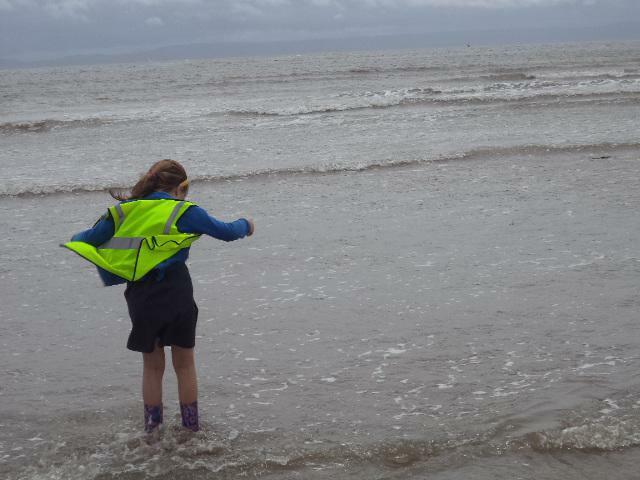 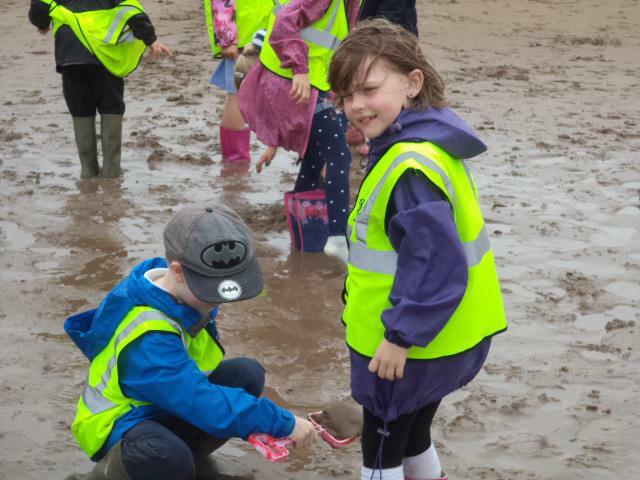 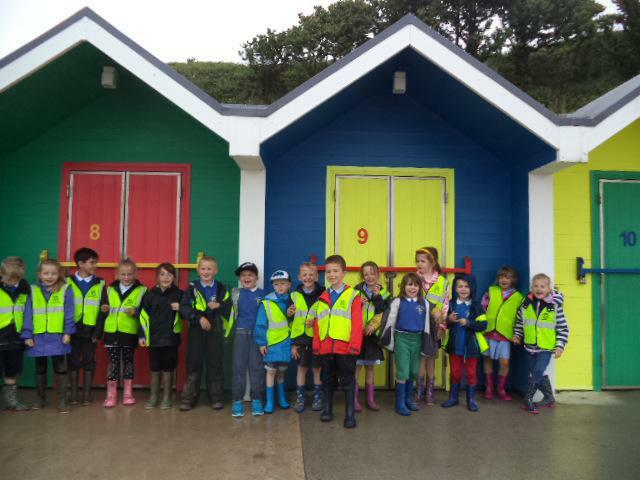 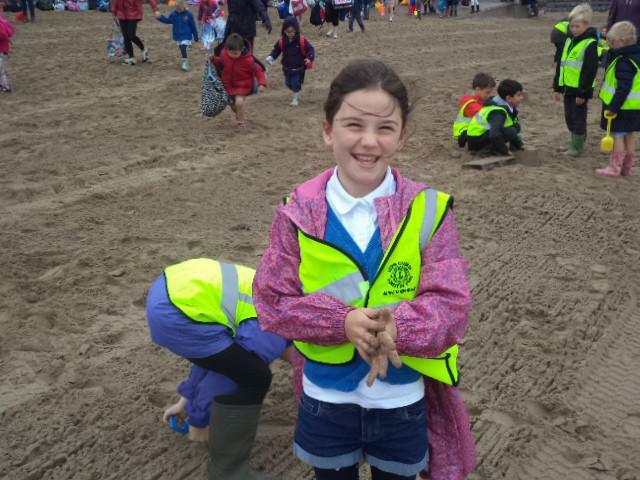 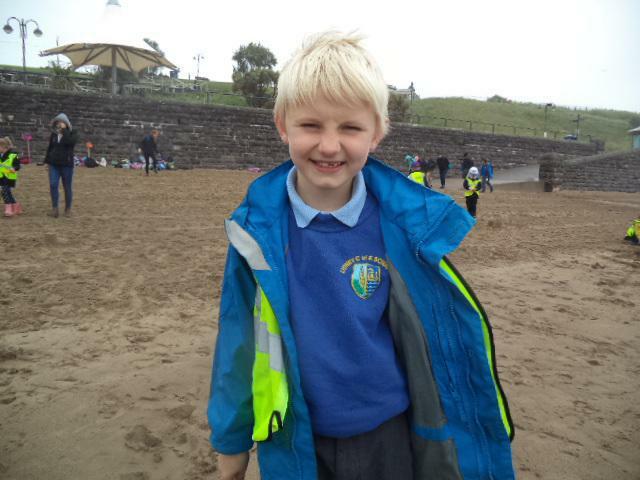 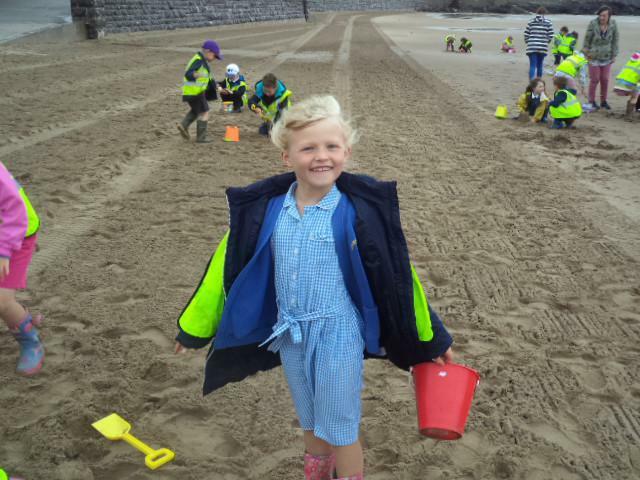 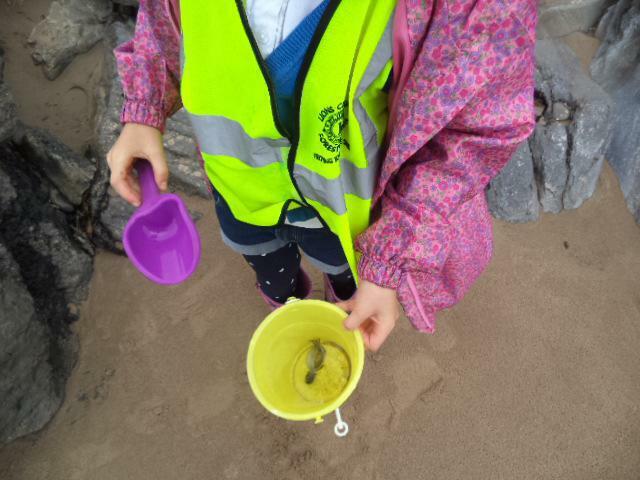 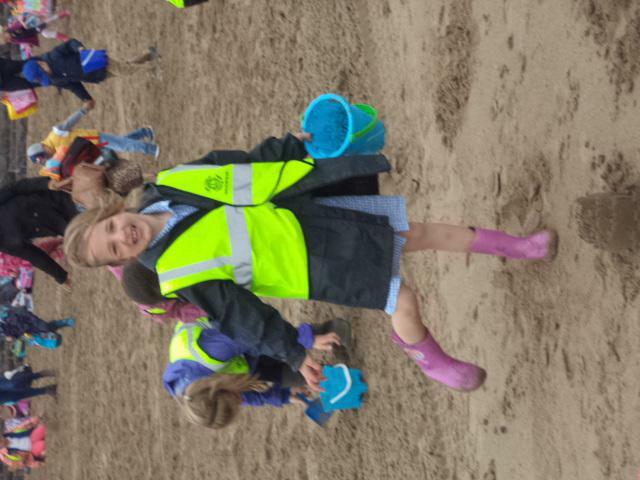 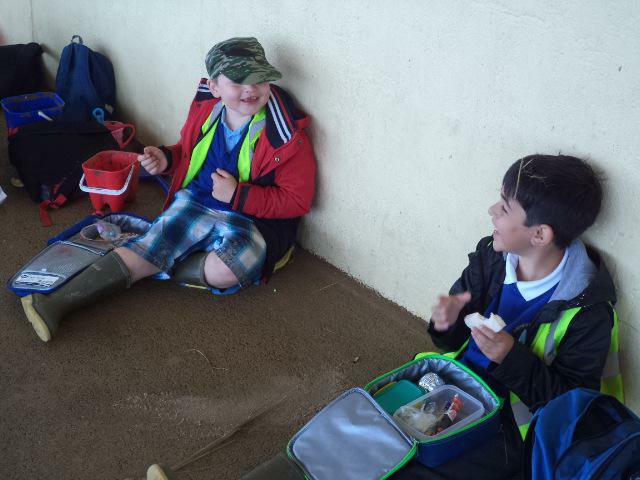 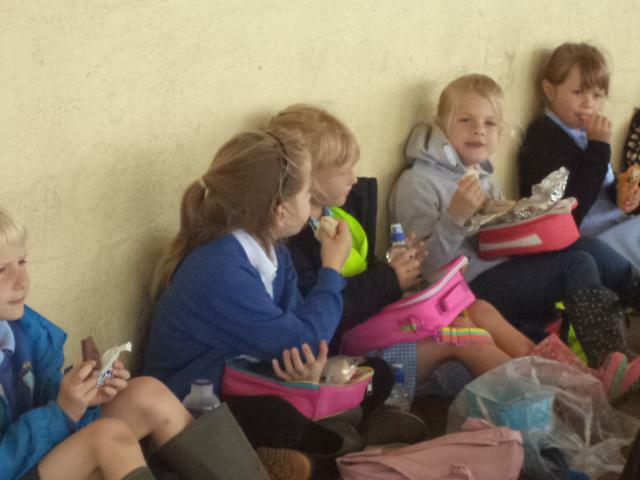 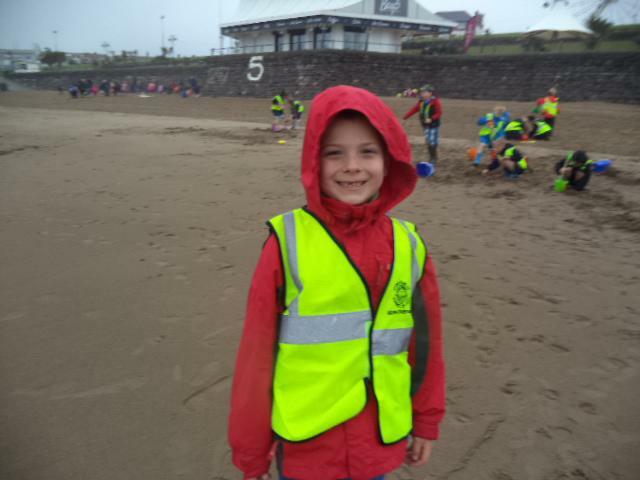 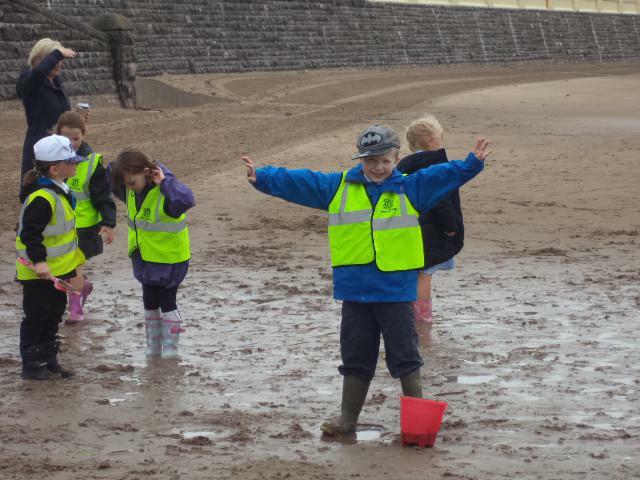 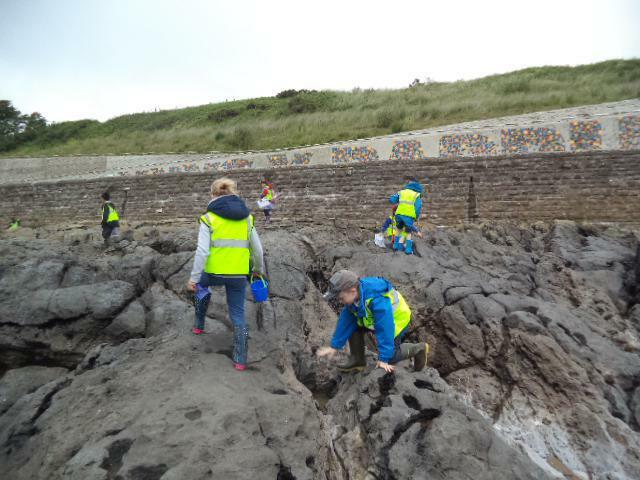 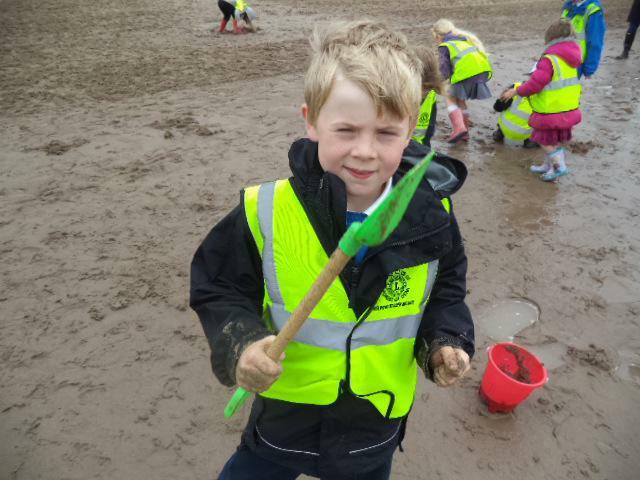 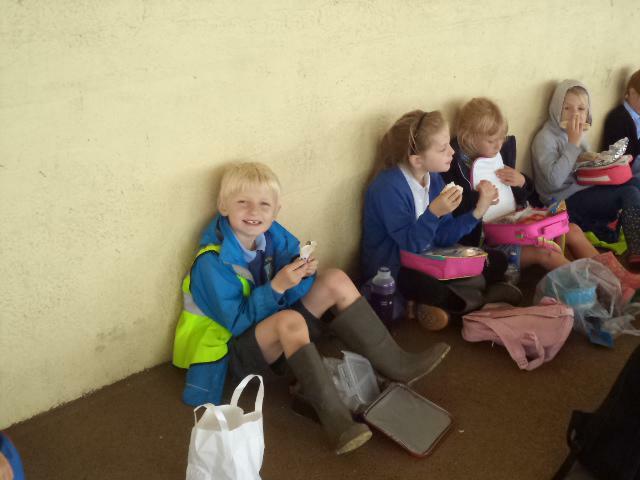 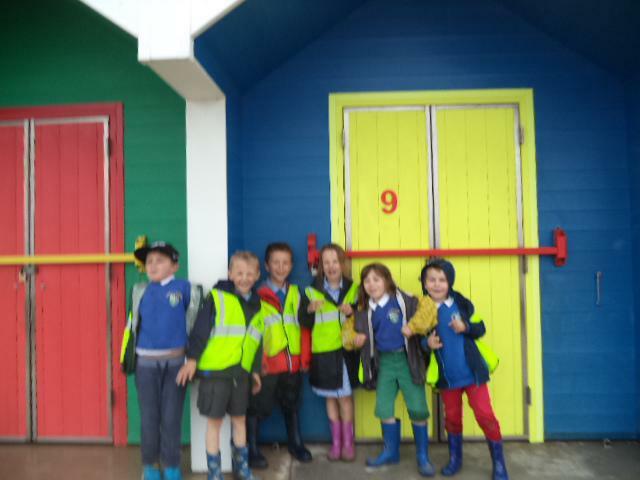 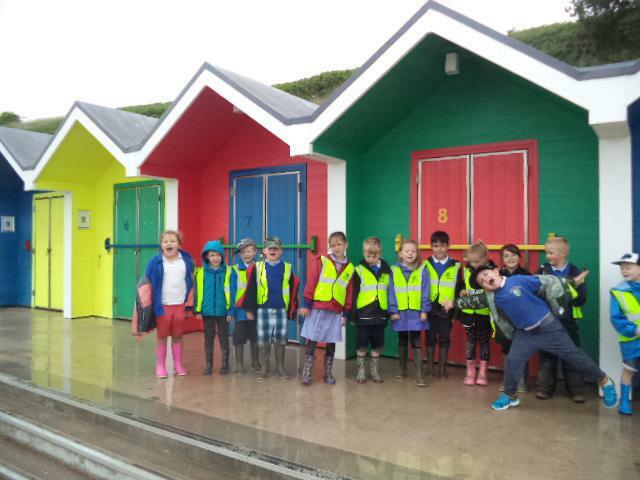 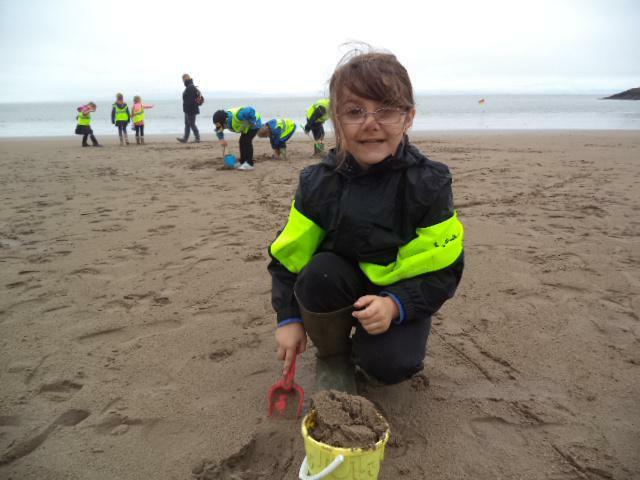 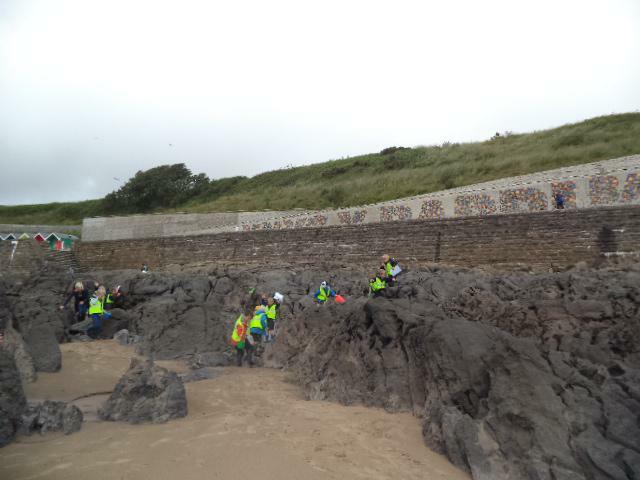 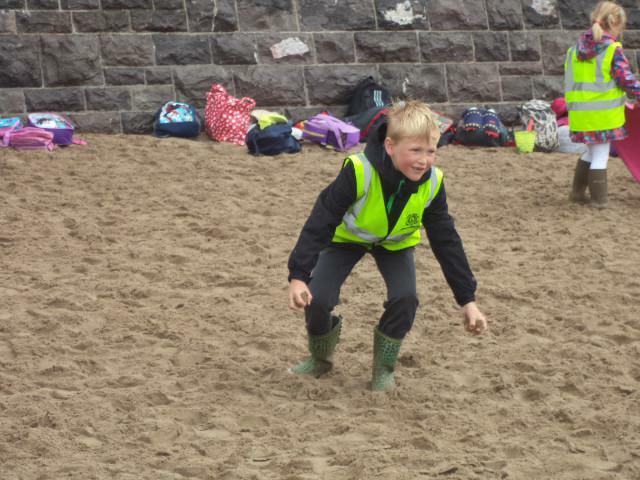 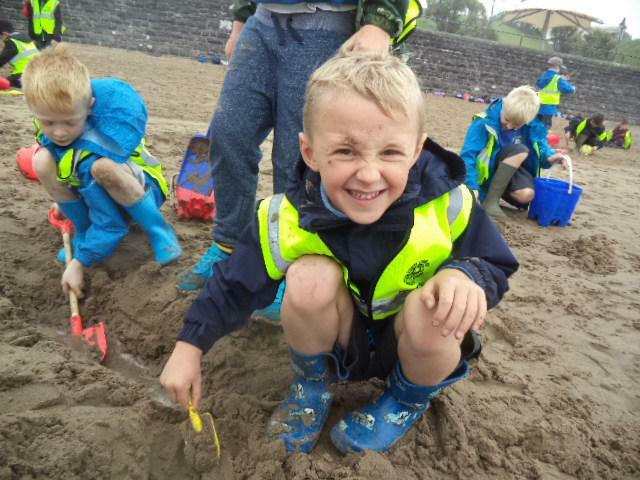 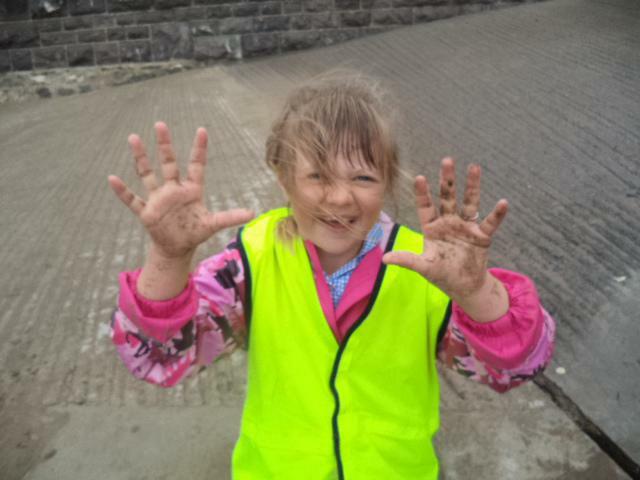 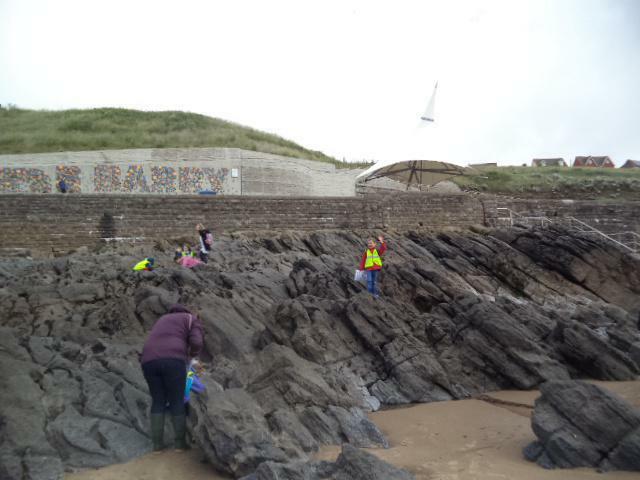 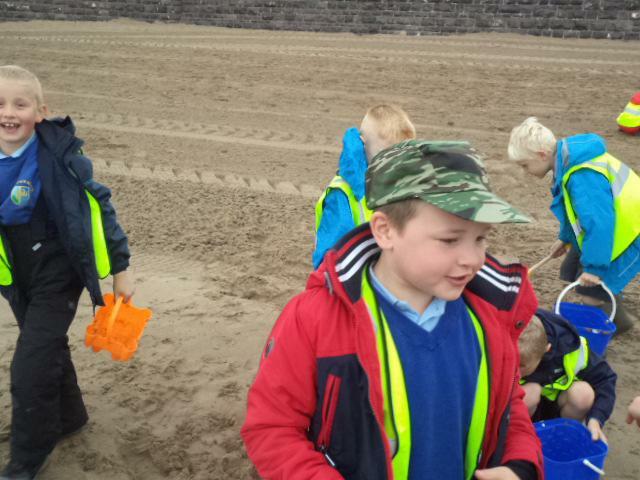 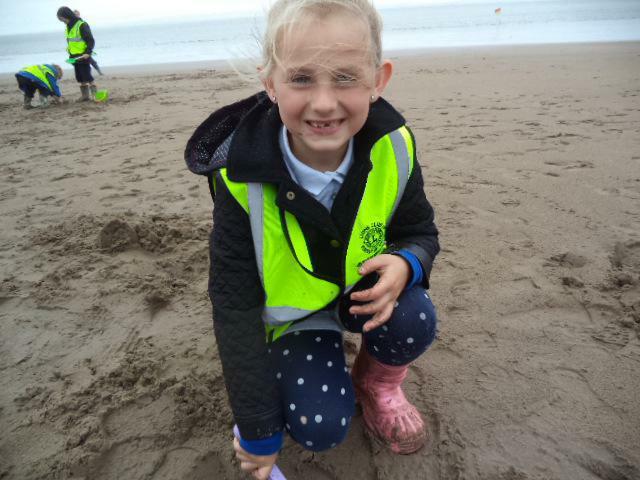 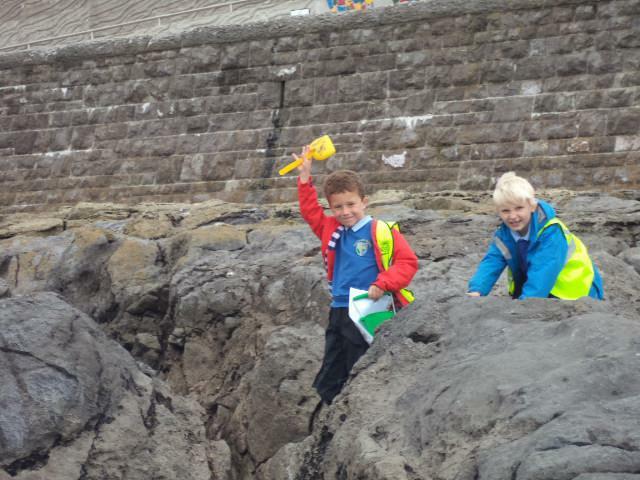 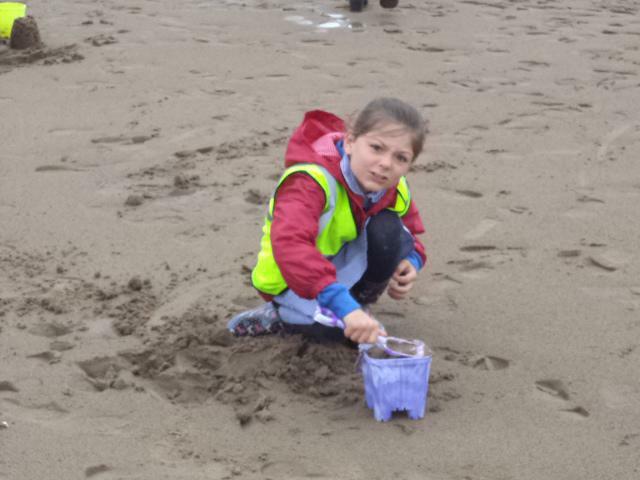 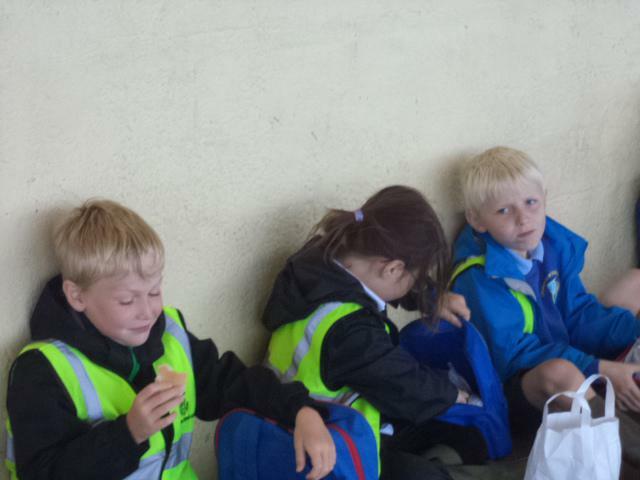 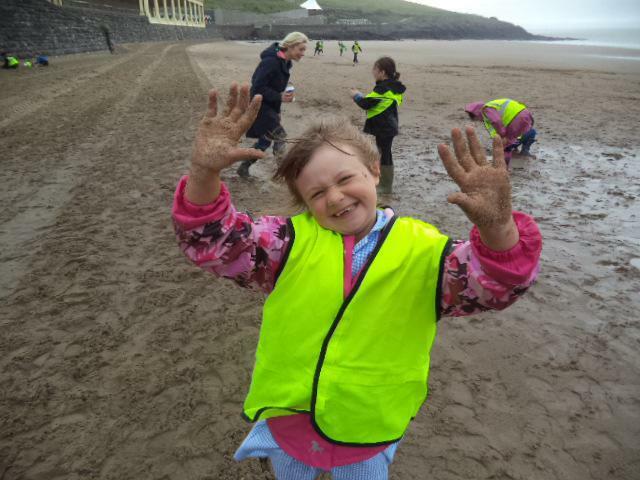 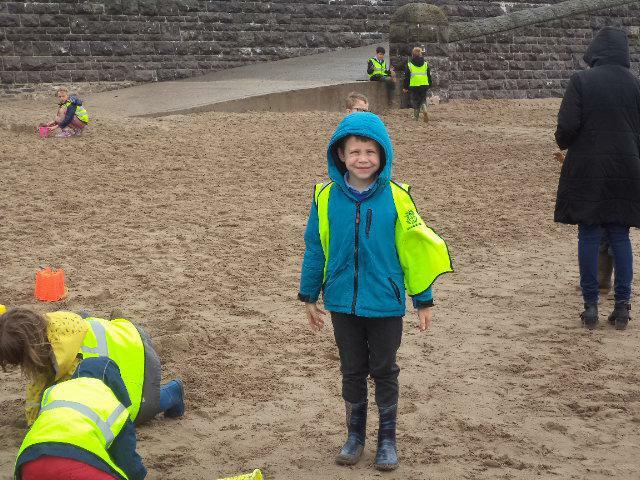 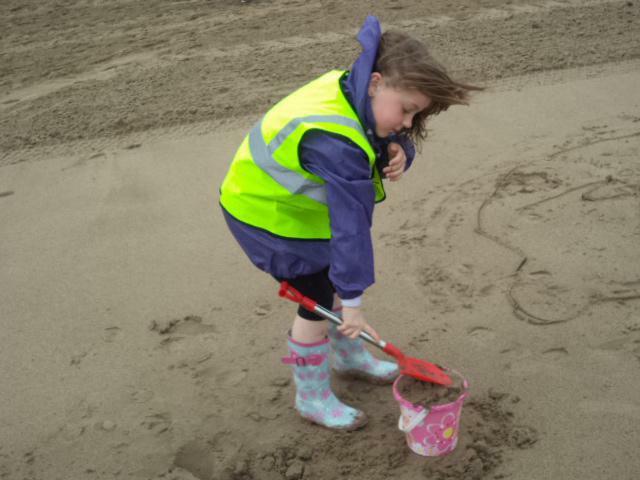 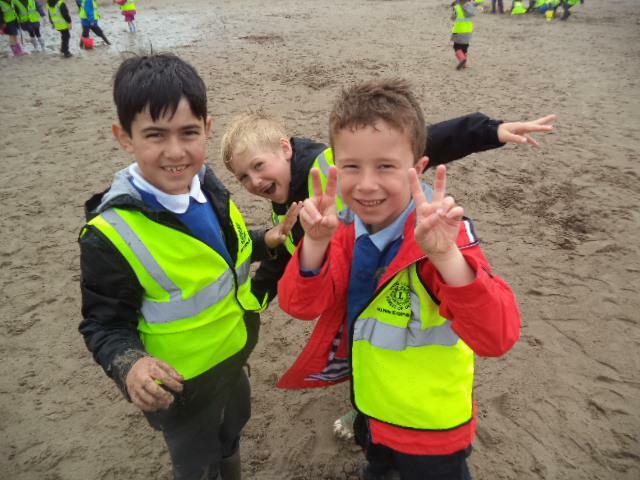 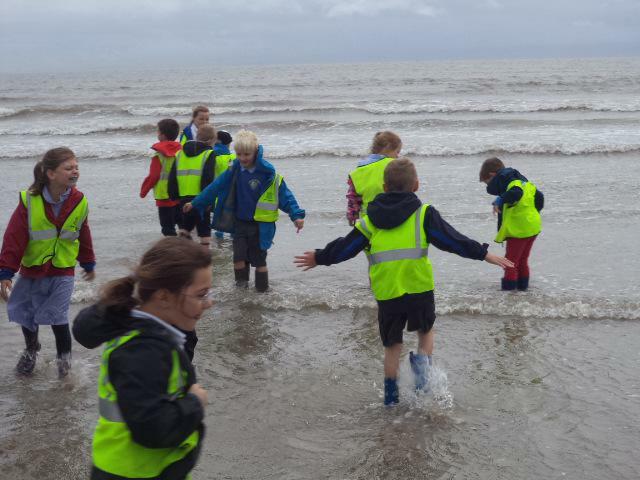 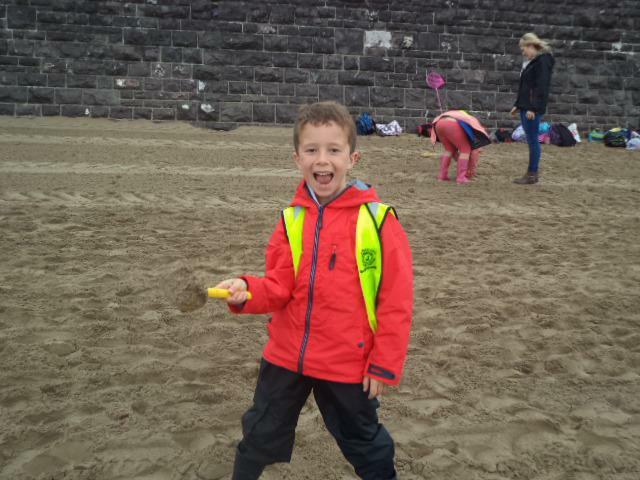 On Monday, Class 2, despite the rain and wind, gathered their buckets, spades and Wellington boots and set off across the border to Barry Island! 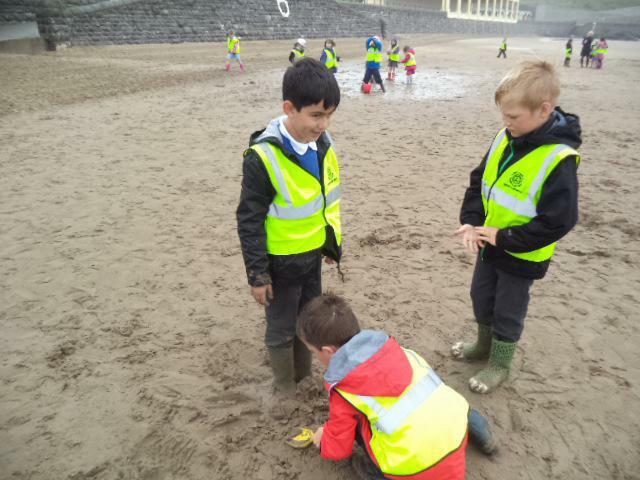 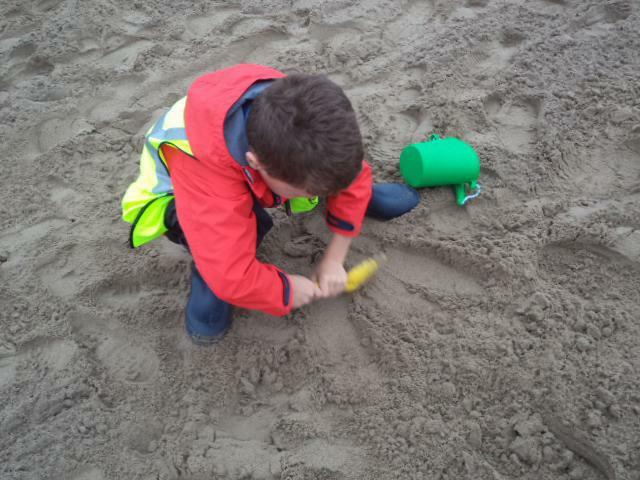 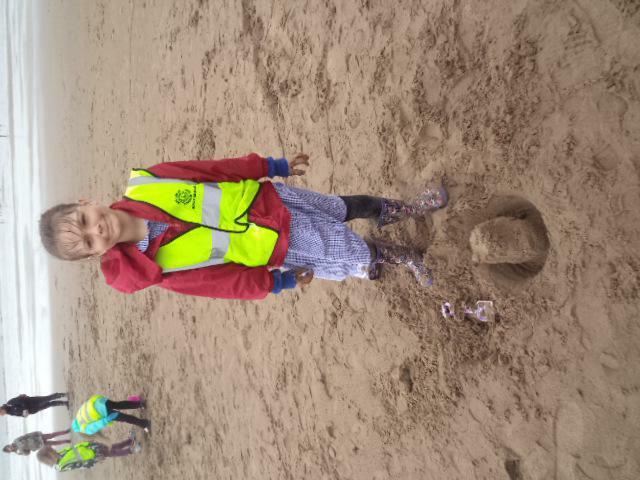 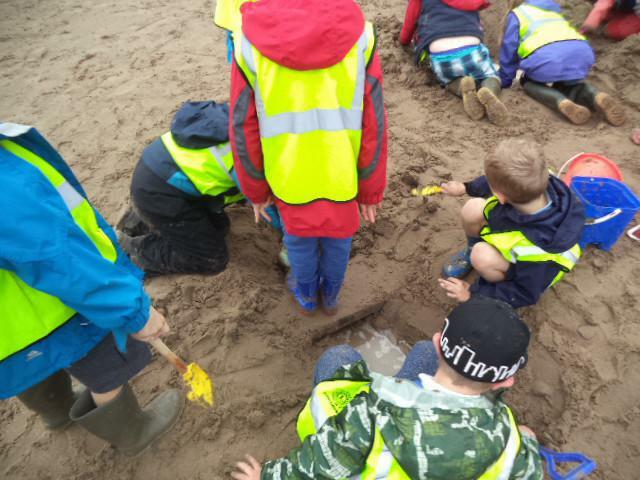 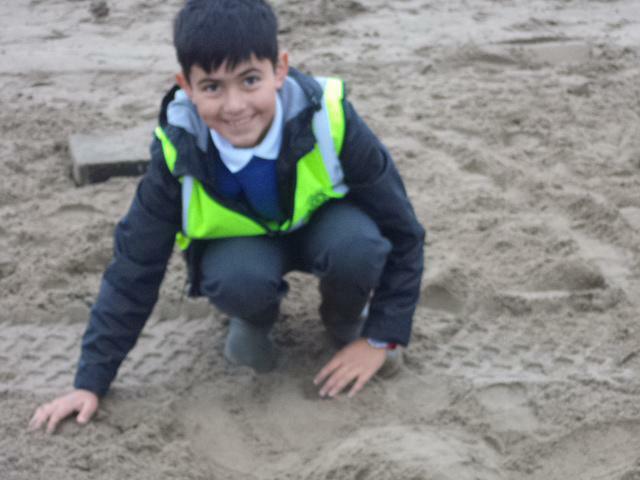 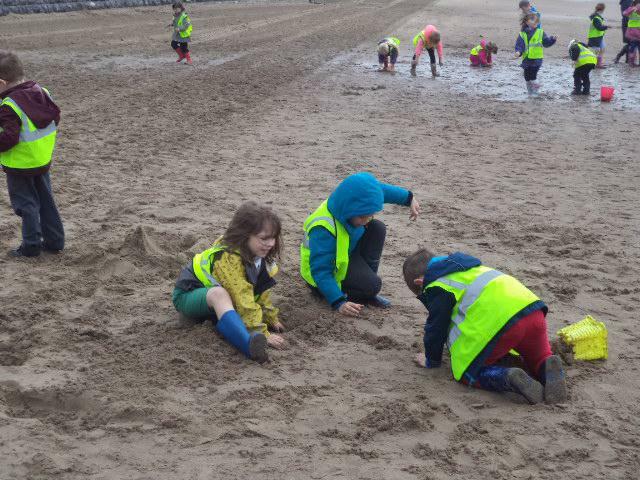 Luckily, the rain had eased off by the time we arrived so we headed down to the golden sands and started our work on building sandcastles. 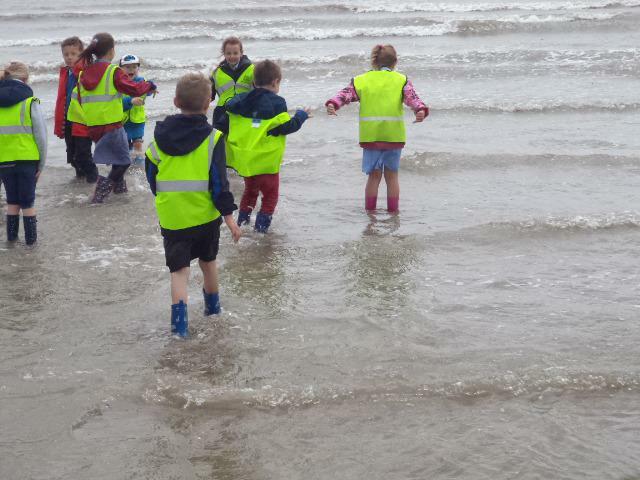 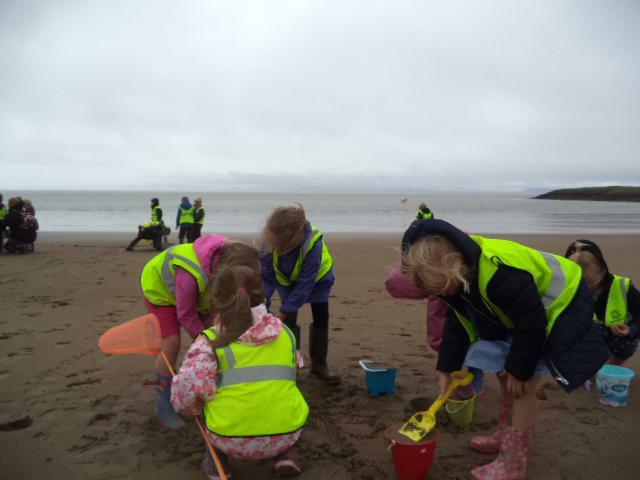 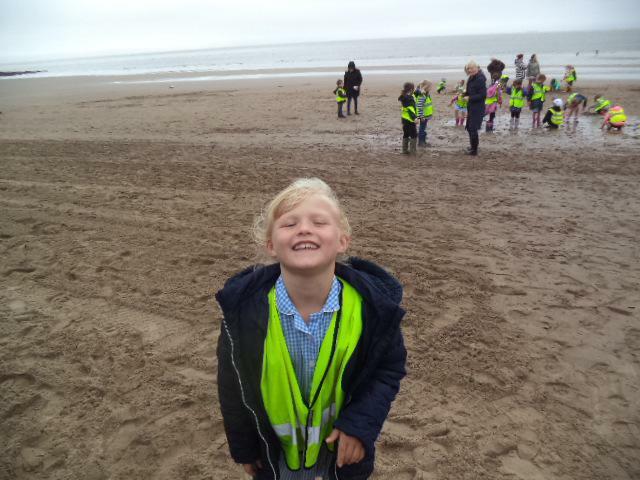 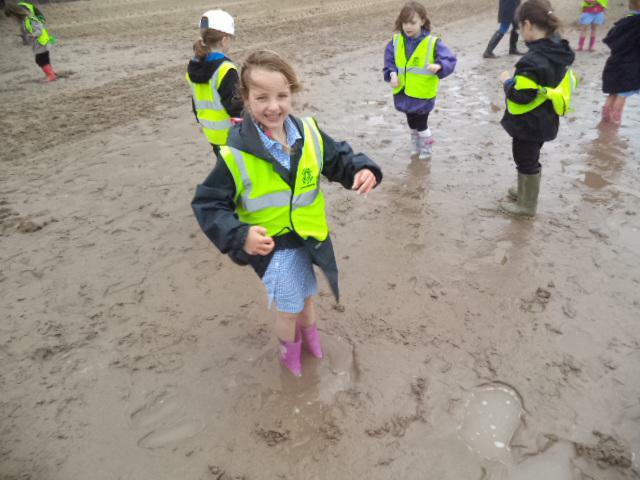 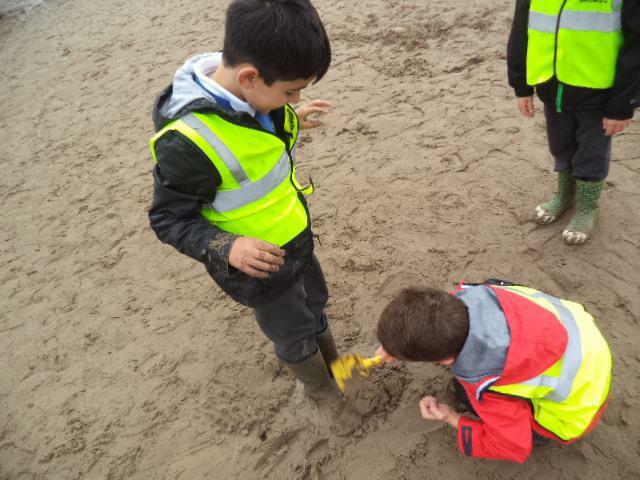 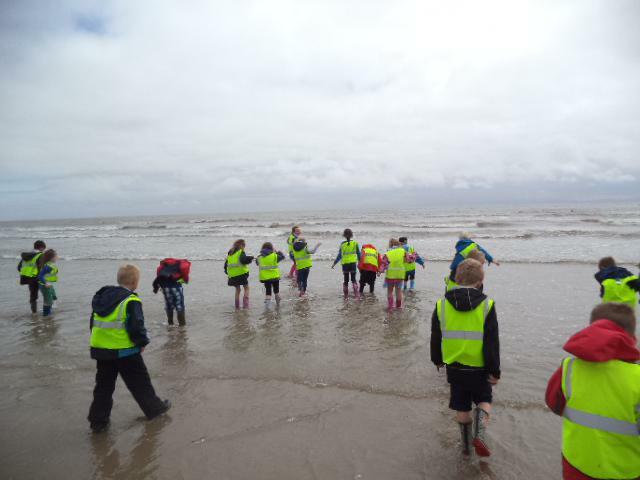 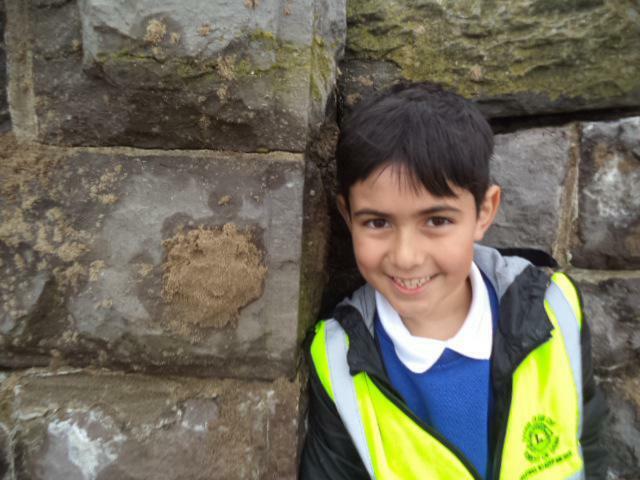 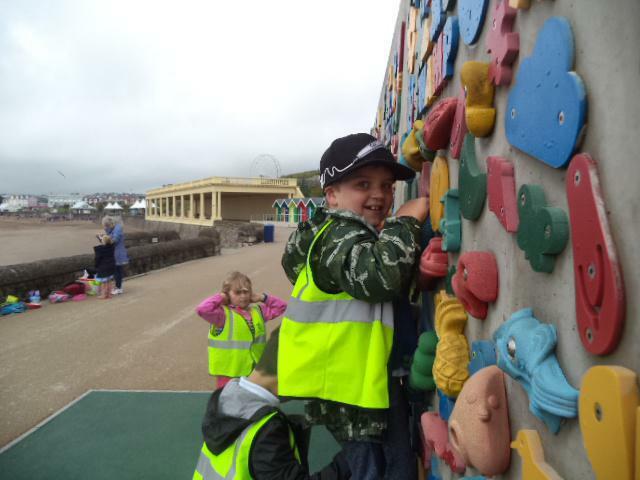 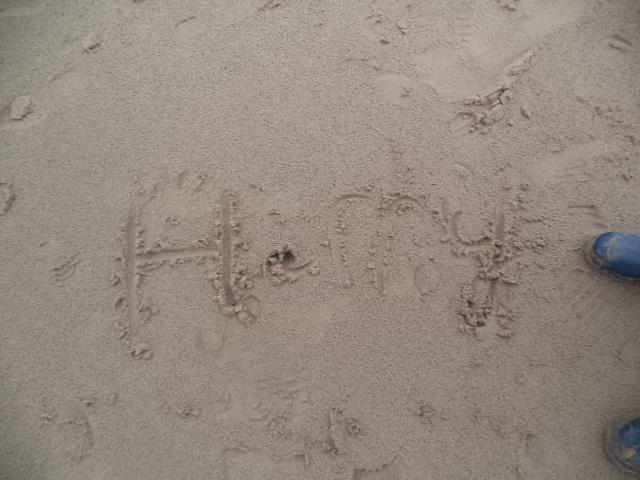 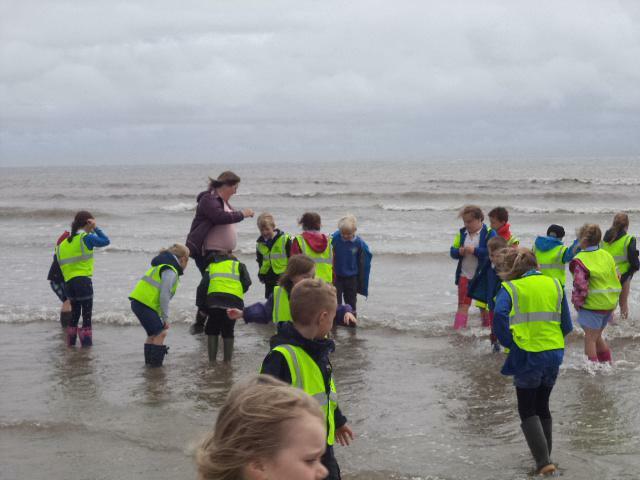 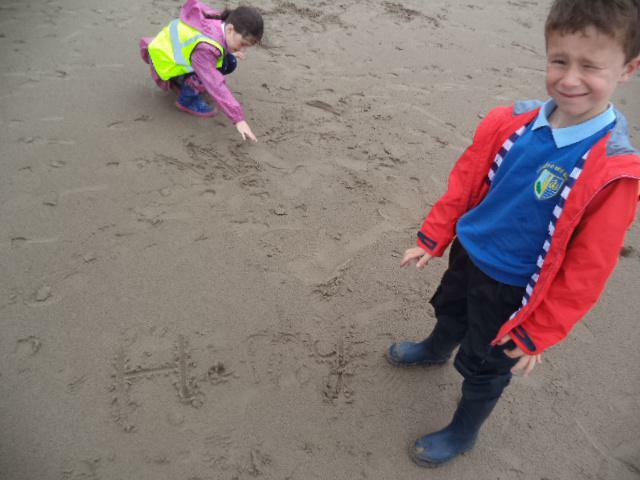 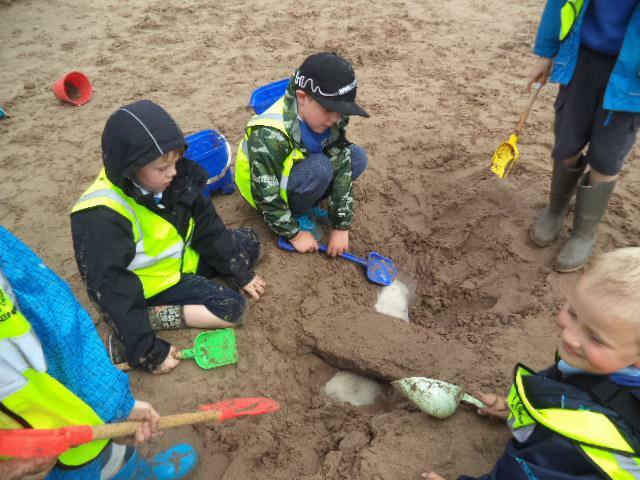 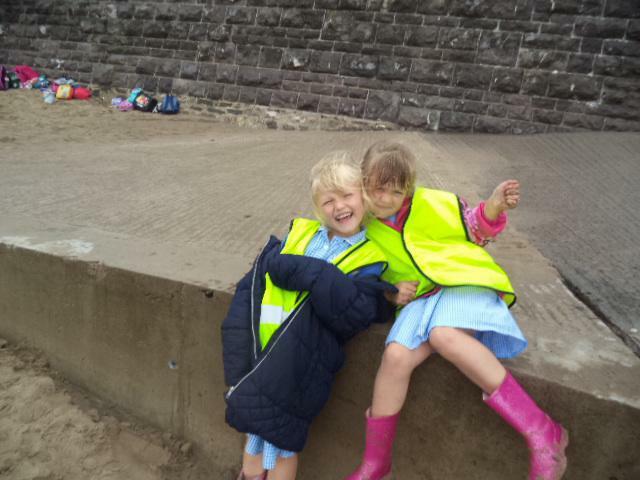 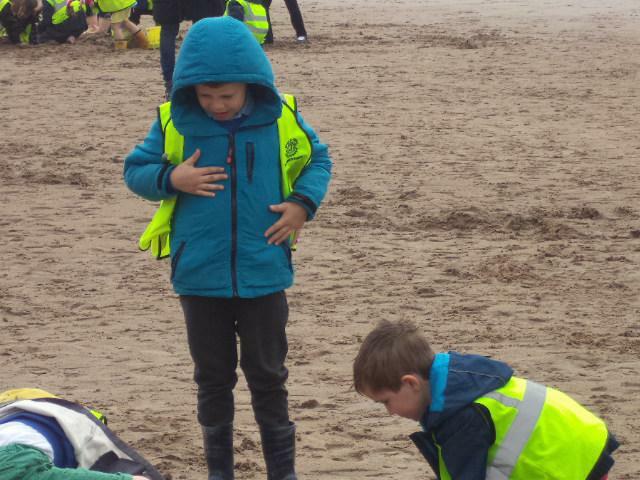 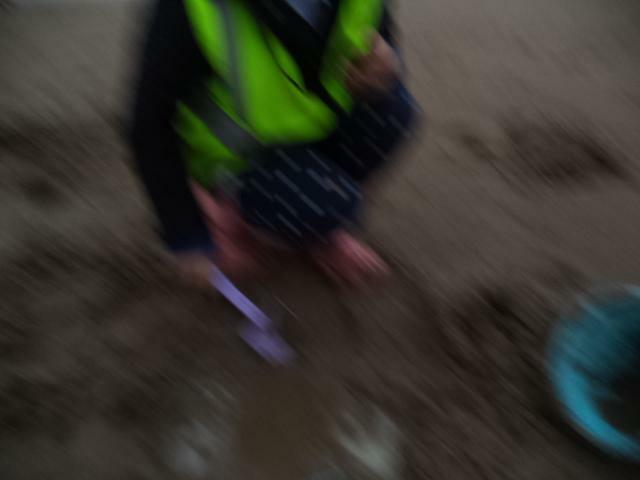 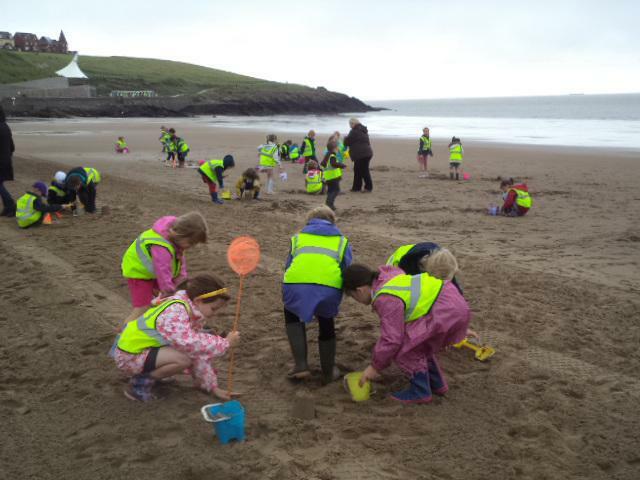 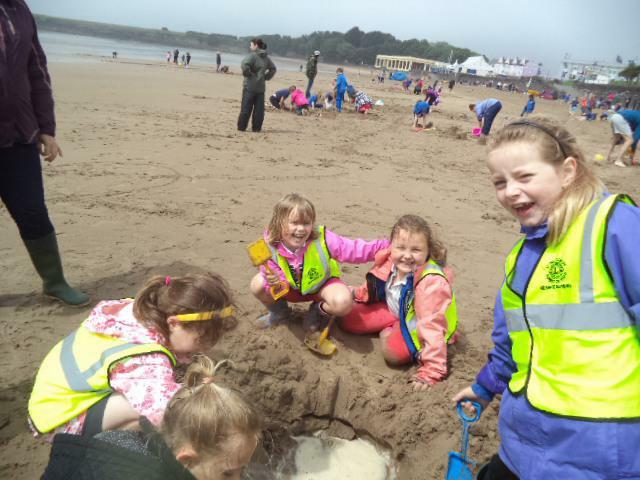 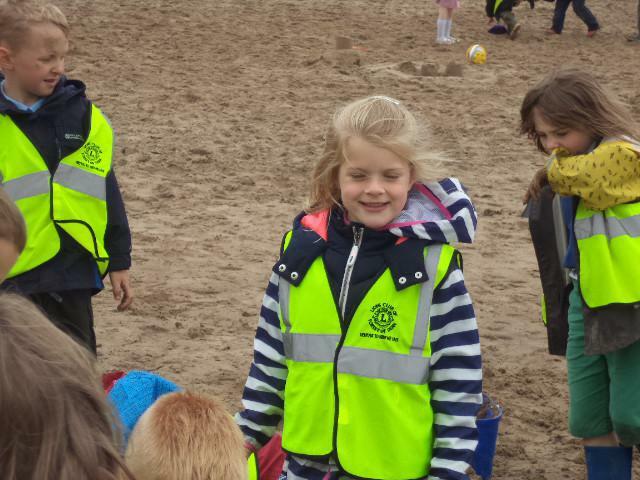 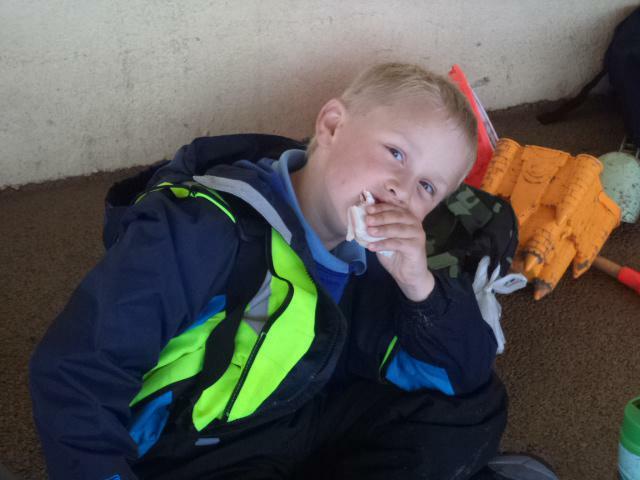 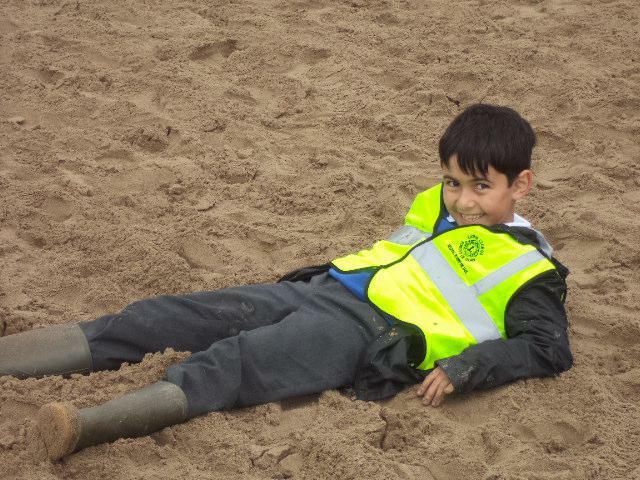 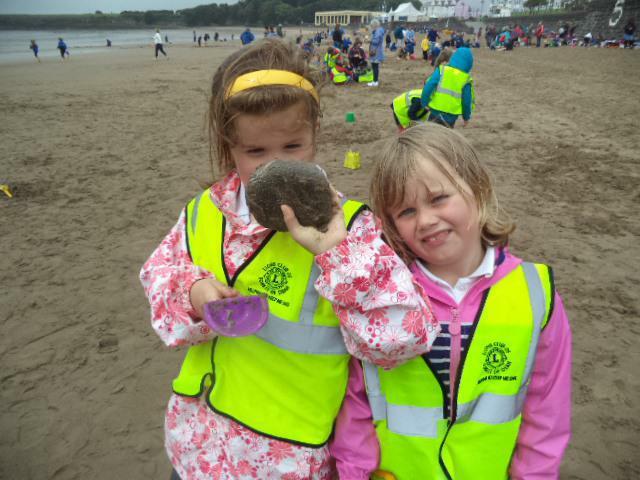 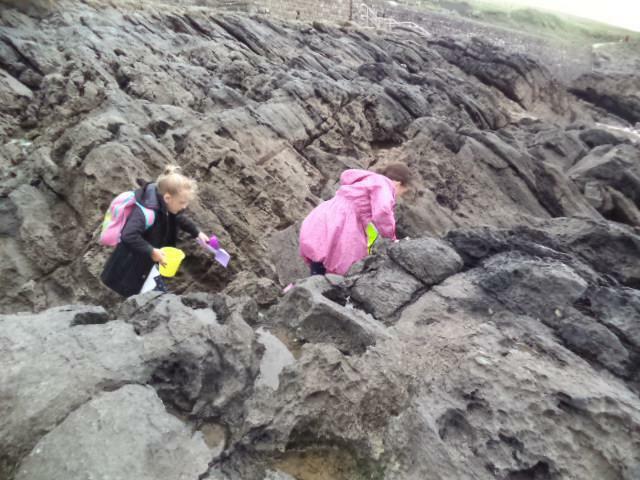 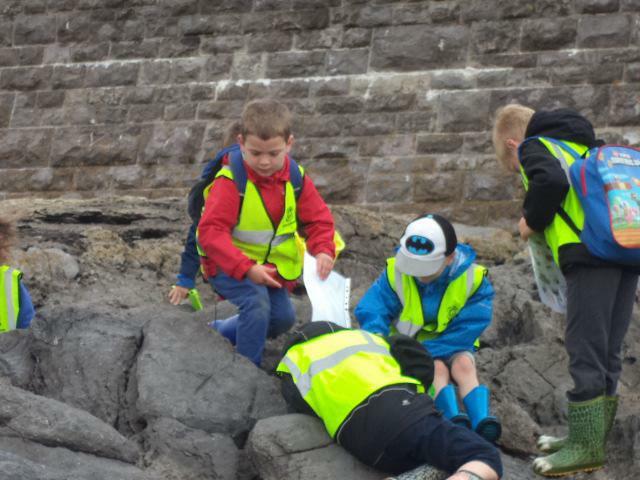 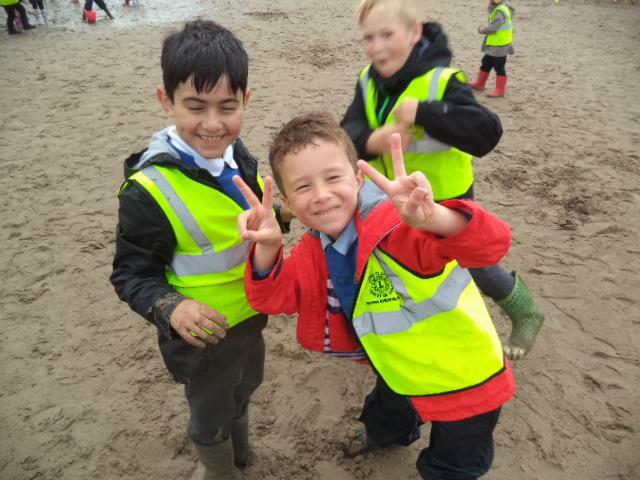 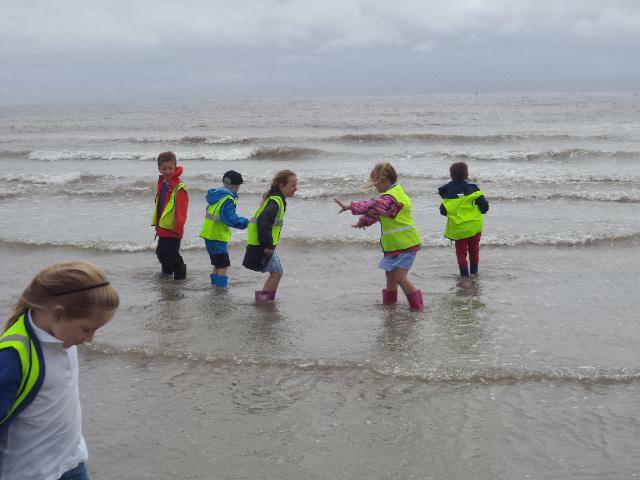 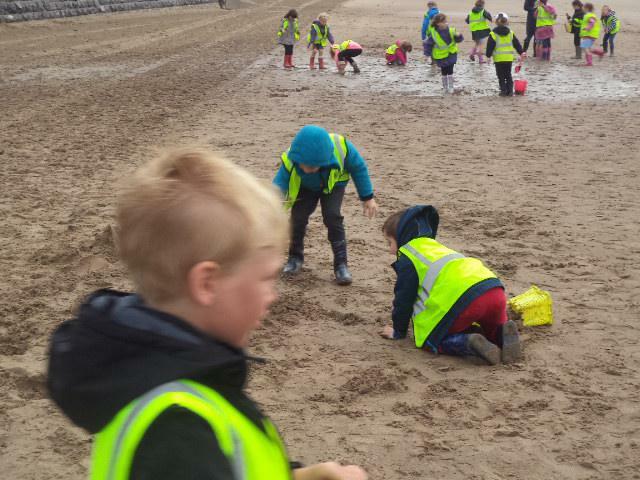 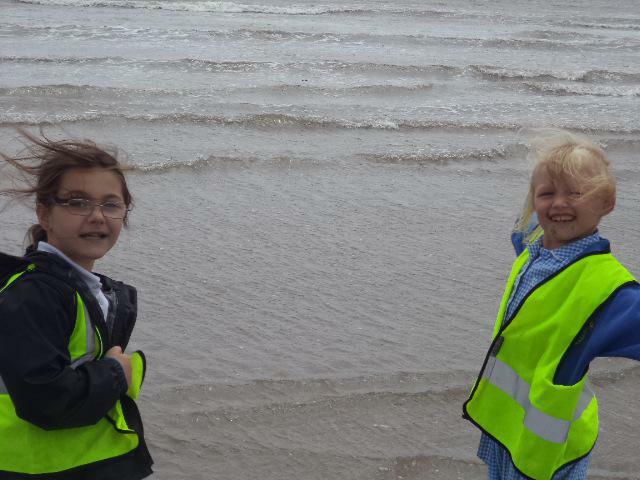 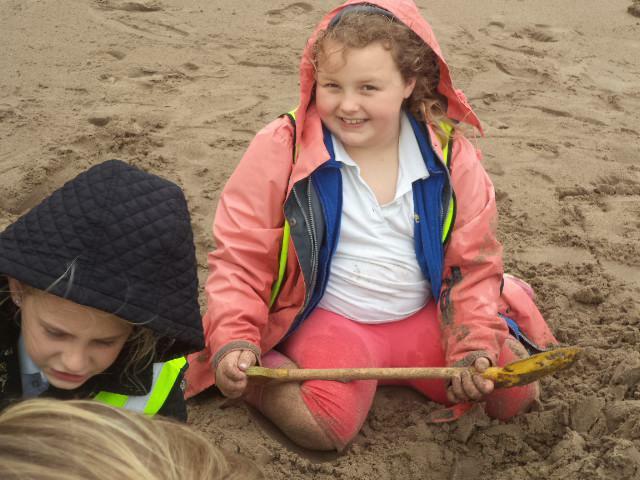 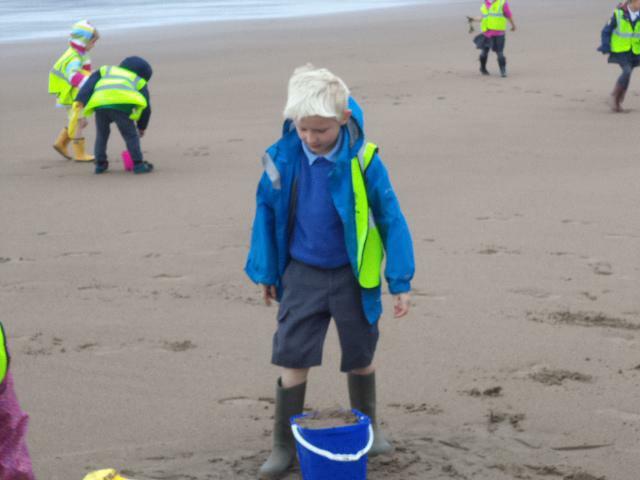 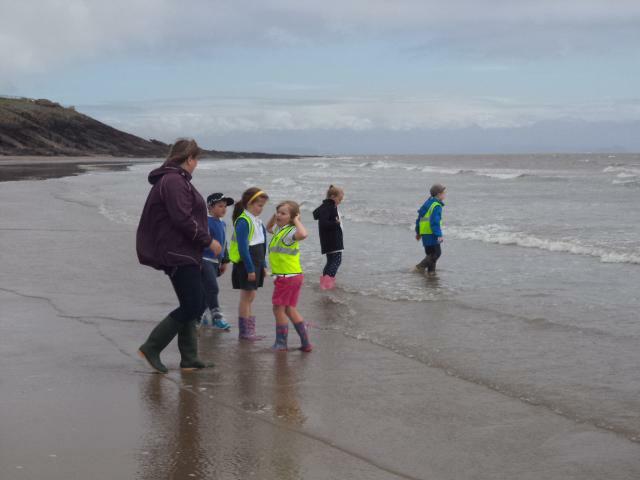 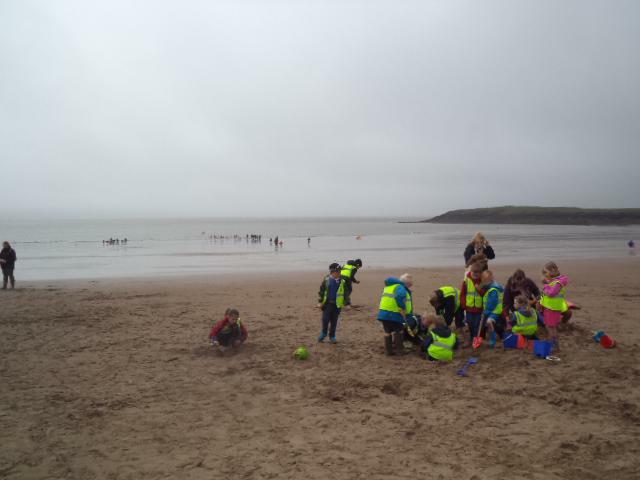 The children demonstrated excellent teamwork and communication skills and had lots of fun exploring the beach. 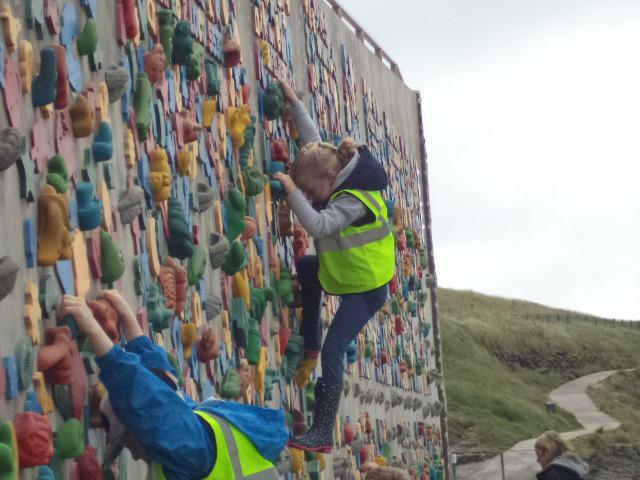 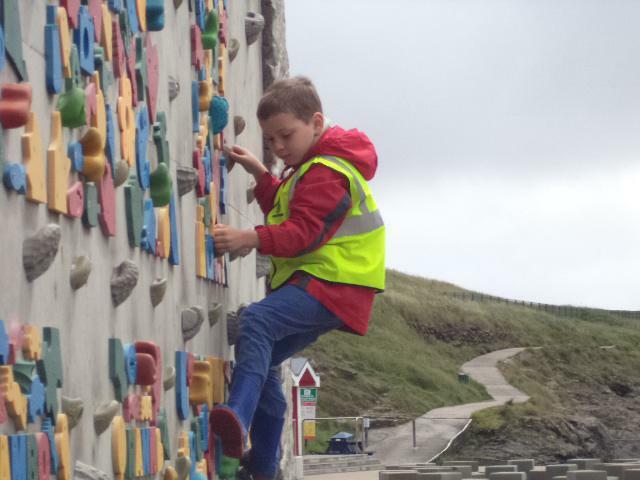 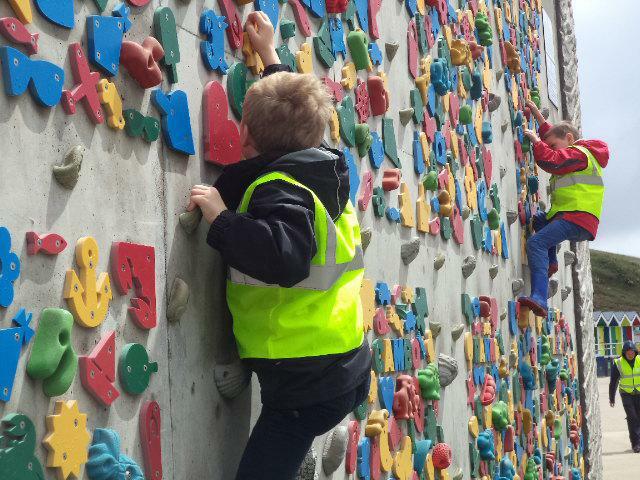 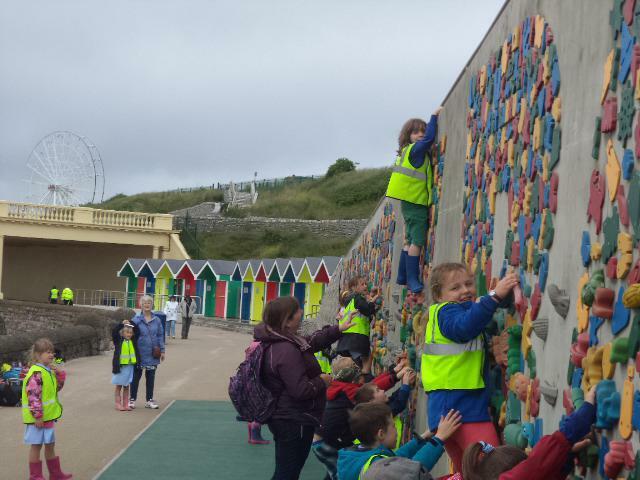 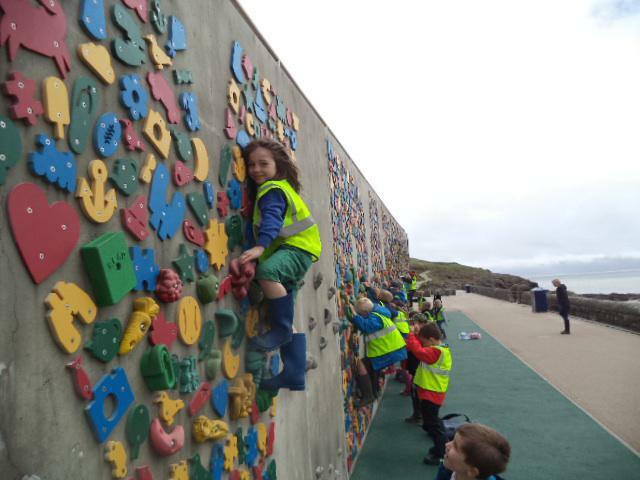 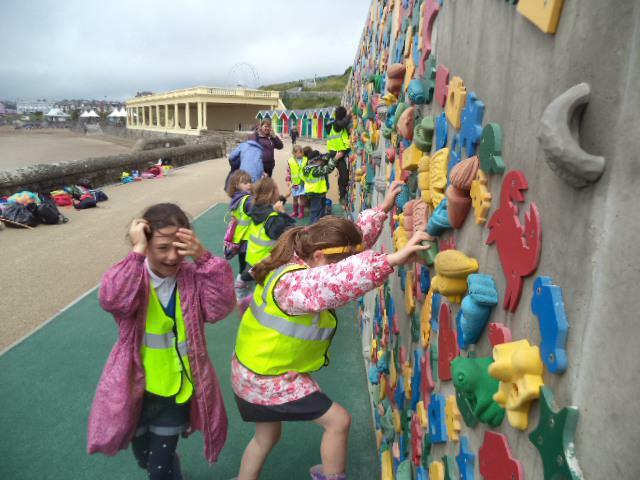 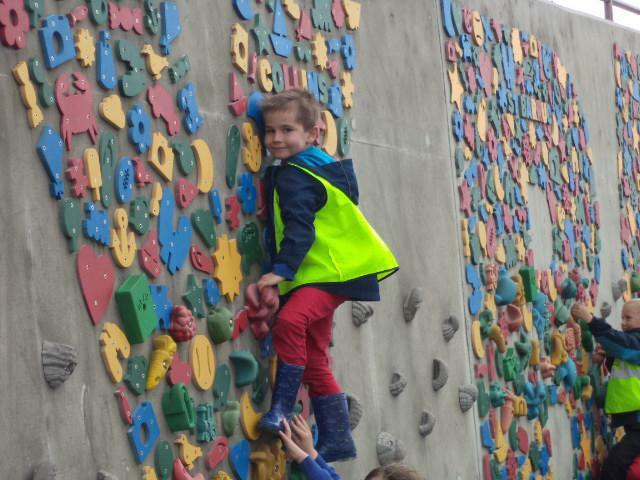 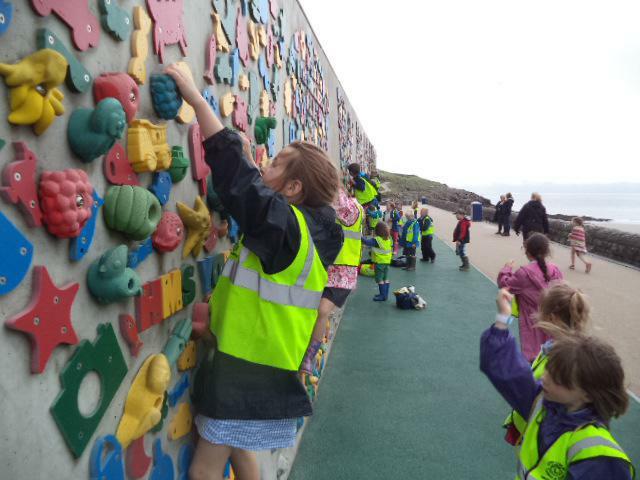 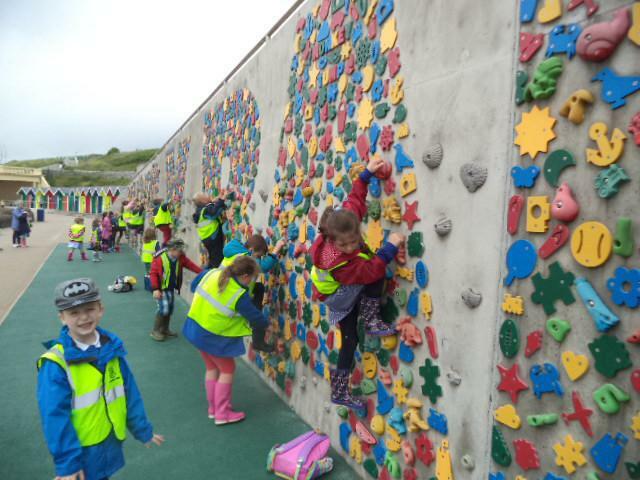 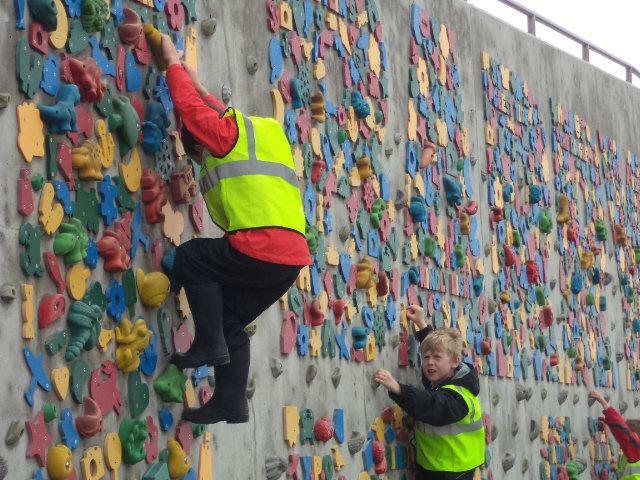 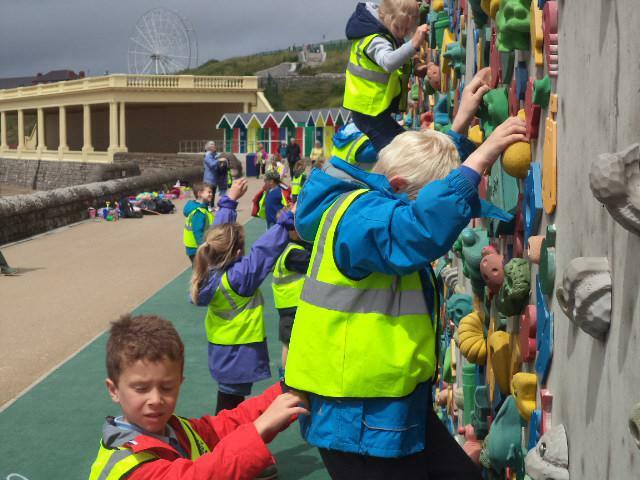 Before we knew it, it was time for a lunch break and then a chance to have a go on the climbing walls! 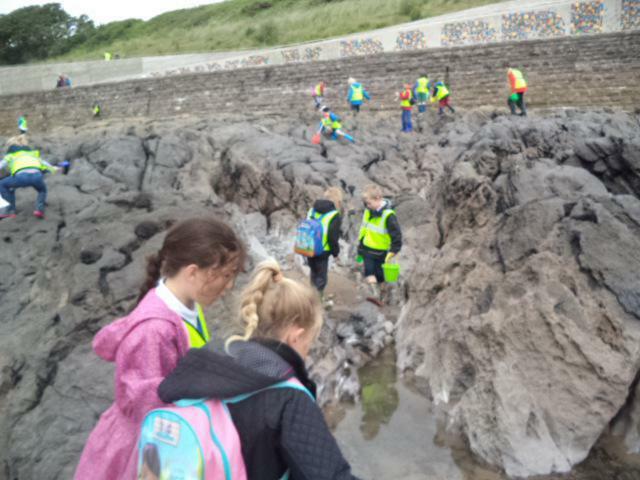 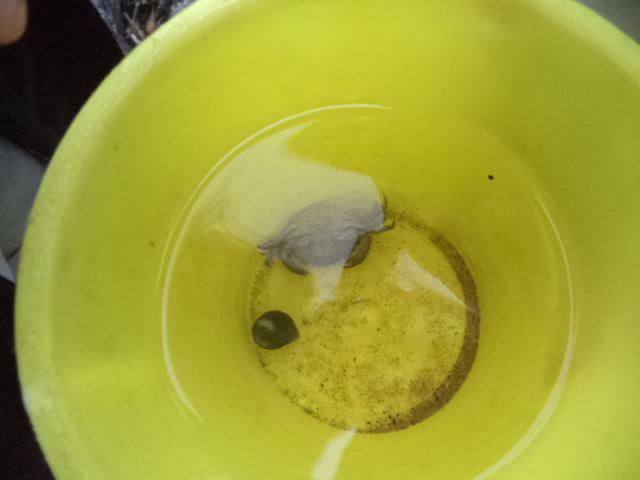 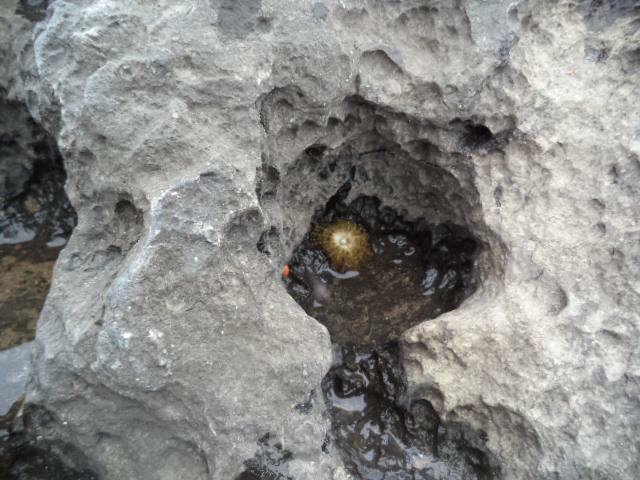 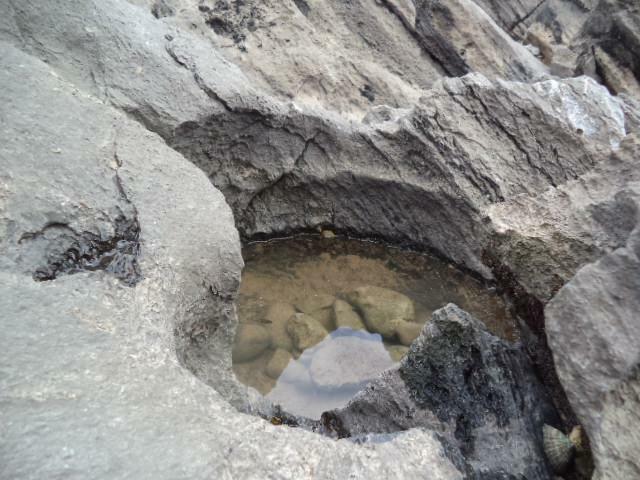 After lunch, we decided to explore the rock pools and used our buckets, nets and spotter sheets to identify all the different creatures living in the pools. 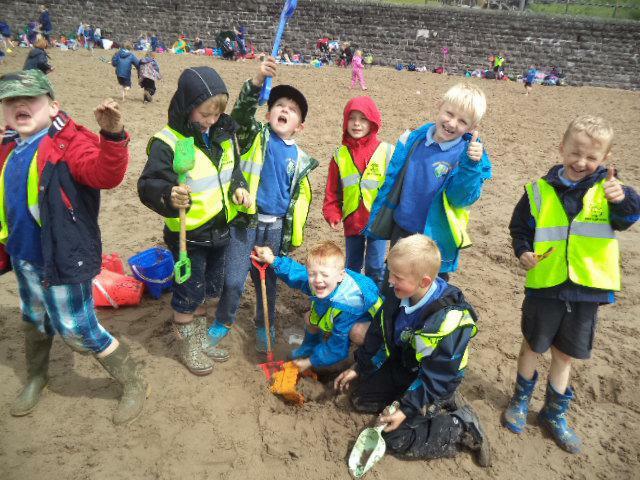 We were very excited to find some fish and crabs! 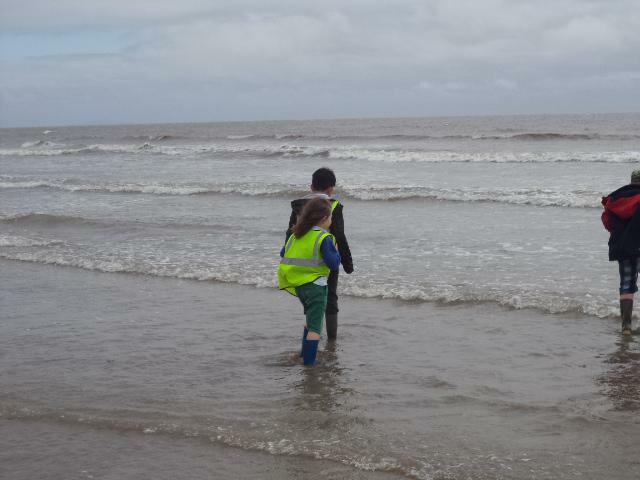 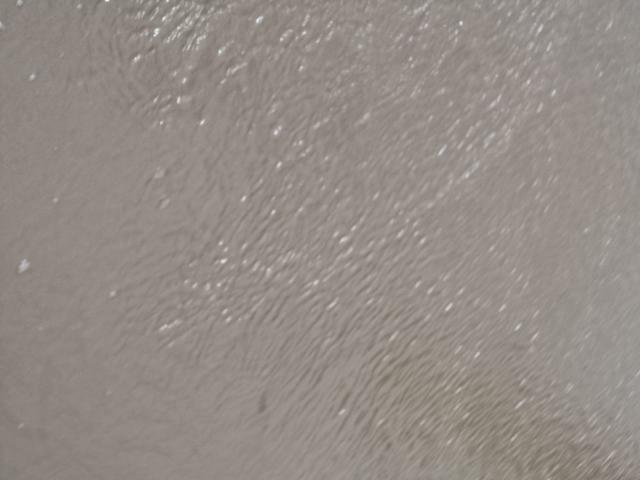 Finally, it was a quick paddle in the sea and some wave jumping before hopping back on the coach, our buckets, bags and boots far wetter and sandier than when we had arrived. 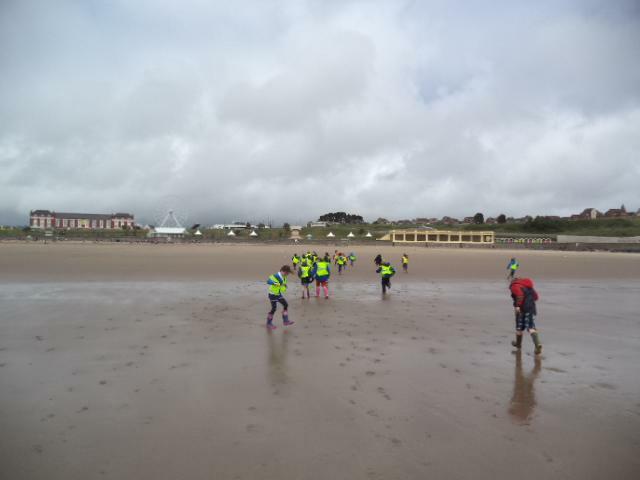 Thank you Class 2 for your wonderful behaviour on the trip and to parents for your support. 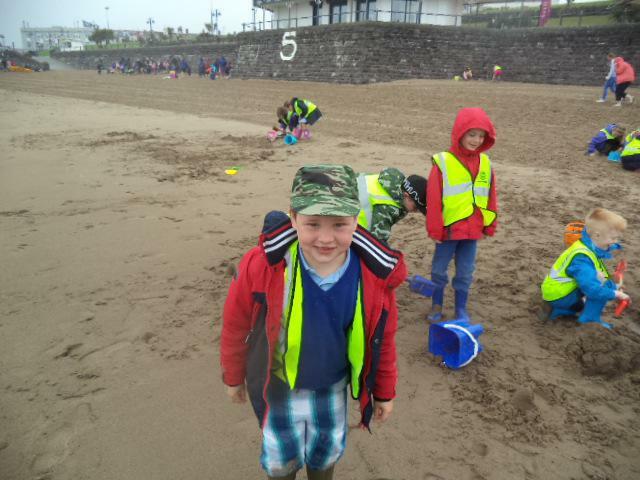 A great day was had by all!